This event is just getting better and greater! May is nearly upon us and it will be a very exciting month for the village of All Cannings in Wiltshire as they start to prepare for Concert at the Kings which will be in its 3rd successful year of running. 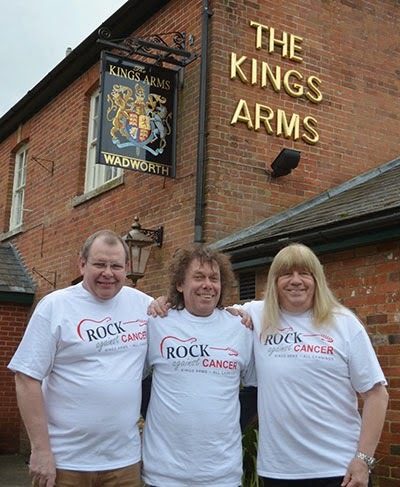 Concert At The Kings idea originated in 2010 when John “Grubby” Callis - Sound Engineer for Sir Paul McCartney who frequents The Kings Arms Pub in All Cannings discovered he had prostate cancer. He then discovered that his drinking partner Andy Scott – guitarist with 1970’s chart-toppers band The Sweet also had it too. PLANNING IS IN THE MAKING! Now, planning a rock concert as you could imagine is not an easy thing to do!! After 2 years of hard work and planning they launched their first show in 2012 in the field behind The Kings Arms Pub – a fantastic venue with the support of Richard Baulu who is landlord of The Kings Arms. Their aim was to raise awareness and much needed funds for cancer charities and to exceed a target set by themselves of over £50,000. On 26 May 2012 they launched their first show. It was a huge success! Their hard work had paid off. Supporting this event and performing live were Midge Ure, The Sweet, Mike and Mechanics, Brian May and MORE! All helping to raise money for Cancer Research, Above and Beyond Urology and local needs in the Parish of All Cannngs. This show was so successful that they decided to run one again the following year. On 25 May 2013 their second show was launched and once again it was a huge success with another great line-up; Roger Taylor, Kiki Dee, Madeline Bell, Dr Feelgood, 10cc and MORE! Once again, due to its success they were encouraged to run it again this year. So far they have raised £35,000 over the past 2 years. On 31 May 2014 there will be yet another fantastic show and line-up including; The Troggs, Steve Harley & Cockney Rebel, Sir Bob Geldof and the Boomtown Rats, Paul Young, Los Pacaminos, The Straits and MORE! A second stage will be set up this year featuring new local bands who have just been signed up. The line-up so far; Jake Meeking, The Greasy Slicks and Funkin Skunks! Proceeds will go towards Macmillan Cancer Support, Above and Beyond Oncology, Bristol and local needs in and around All Cannings. This event is just getting BETTER and GREATER! With the support of volunteers, event staff, production suppliers and supporters who all work so hard around the clock to make it happen – this is a superb team in the making! Yes, as well as Awdry Bailey & Douglas, even Sir Paul McCartney, Brian May and Sir Bob Geldof and Tom Robinson are leading a social media campaign to put the word out and raise awareness! Well Done to Catherine Cole who ran in the White Horse Harriers Half Marathon last Sunday 6 April 2014 in aid London's Air Ambulance, also known as London HEMS (Helicopter Emergency Medical Service). She completed the Half Marathon in just over 1 hr and 51 minutes which was her personal best and along with her 7 team members has collectively raised approximately £4,500. 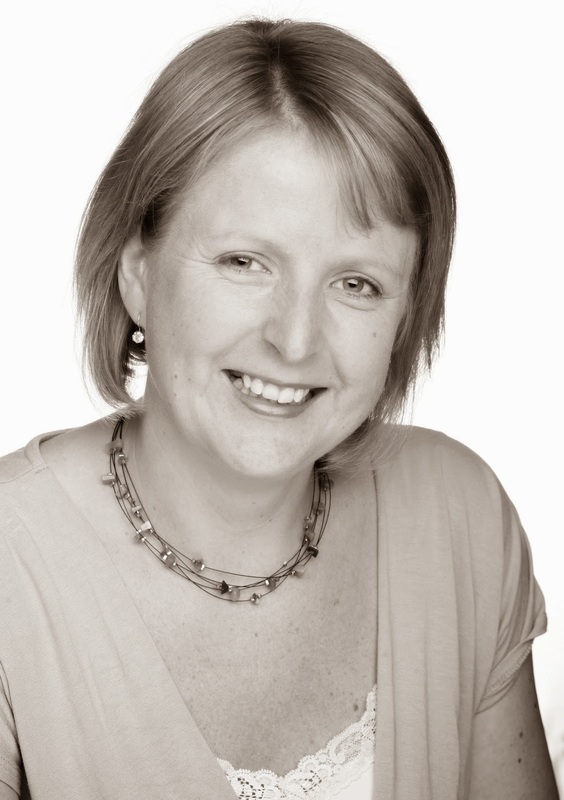 Catherine is based at ABD’s Devizes office in the Private Client Department. Catherine ran in the memory of her husband’s cousin who died in a road accident as she cycled to work in West Dulwich, London. The paramedics on board the London HEMS fought so hard to save her life having arrived on the scene within minutes but sadly her injuries were just too severe. The White Horse Half Marathon is a very popular race with no more than about 500 runners. It first started in 1983 and takes its name from the White Horse of Uffington which although about 8 miles from the Grove (where the race starts) is Britain’s oldest – about 3,000 years old famous bronze age hill figure! The White Horse Half Marathon has supported a variety of different causes and charities over the years. This year the race supported Air Ambulance Berks/Oxon/Bucks. Catherine will be running with ABD Team on Sunday 9 September 2014 in the Chippenham Half Marathon and will help to raise monies for both Alzheimer’s Society and Dorothy House. No doubt she will be running a few more races in between!